Effective marketing is all about maximizing your budget, time, and energy to get the most return on your investment. One of the best ways small businesses have found to do so is through effective social media marketing. Like it or not, social media is here to stay and it’s a great way to grow your business, expand your reach, and connect authentically with your audience. In this Aspen Grove Marketing blog, we’ll discuss the top benefits of social media marketing for small businesses. Increased Brand Awareness – First and foremost, utilizing social media platforms as part of your digital marketing plan will increase the number of people who know about your business and can recognize your name. Social media for business is in large part free (other than your time of course), and social media advertising is still very cost effective. Your customers and potential customers are already on social media, so it’s time you join them to give your business an incredibly viable way to reach and connect with them. 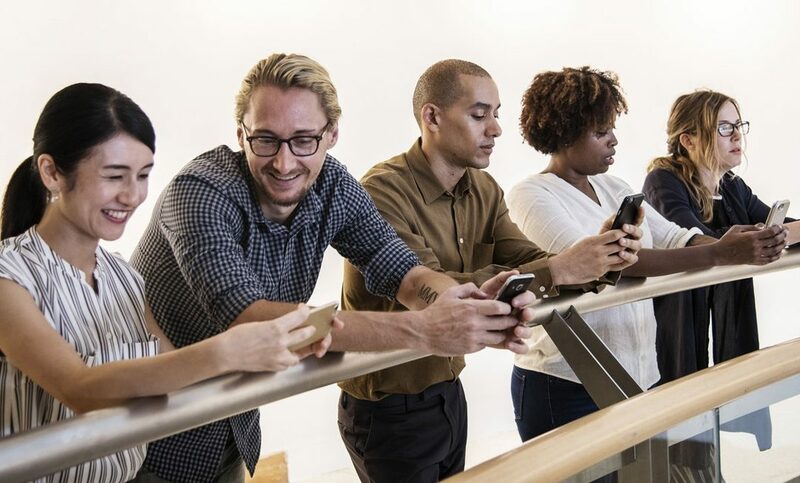 Expanded Audience – Speaking of increasing your brand awareness, social media allows your business to connect with audiences far and wide that may have been cost prohibitive to reach before. By adding social media marketing to your overall marketing strategy, you’ll expand your customer base and reach new people. Customer Service Opportunities – Social media provides a great feedback loop that allows customers to give detailed reviews of your products and services, and gives you the opportunity to provide great customer service to build their trust and loyalty. Customers can now easily reach you, and your team can just as easily respond. Targeted Marketing – Not only can you expand your base and increase your brand awareness through social media, but you can do so in an incredibly strategic way that makes sense for your business. Social media platforms know an awful lot about their users, and they allow marketers to tap into those insights to help you find the customers that are most likely to resonate with your brand. Influencer Connections – The influencers, or cool kids, in the space can help you spread your messages and reach new people. By joining social media platforms, your business can easily connect with the influencers in your space, get to know them, and possibly enlist their help in marketing your product or service. Once influencers know your business and trust your product, they are more likely to share it with their fans. Influencer marketing is a great way to increase sales because it comes from a trusted and liked source. Increased Traffic – Social media is designed to help increase traffic to websites.f your company isn’t on social media, you may be missing out on this traffic. Through linked posts, advertising, and awareness, social media can boost the traffic to your site, ultimately leading to more conversions—or sales. Furthermore, social media supports your SEO efforts, or the ability of your website to rank near the top of a search engine results—ultimately meaning that more people visit your site. Develop Your Voice – As we’ve discussed, the voice of your business is incredibly important these days to help differentiate your business from the competition and really connect with your audience. Social media is a great place to develop your voice and introduce your persona to those around you. Join the Conversation – As business owners, we all struggle to stay relevant and top of mind. One of the best ways to do this is through social media marketing. You can find your customers where they are and engage with them like you’ve never been able to do before on social media. By adding social media marketing to your digital marketing strategy, you’ll be able to join the conversation and connect with your audience. Detailed Analytics – In many traditional forms of marketing, you can’t really gauge the results of your efforts other than to hope your overall sales will increase. However, with social media advertising, you can see exactly how many people saw your ads or content, how many people clicked, and exactly how many people clicked all the way through to a sale or other type of conversation. This level of analytics gives you great feedback as to what works and what doesn’t. You no longer have to throw money at something and hope for the best. Increased Sales – We’d be remiss if we didn’t include this benefit of social media marketing for businesses in our list. Ultimately, the reason we partake in any marketing activity is the end result of more sales. By growing your audience, targeting highly related audiences, and seeing your results in real time, cost-effective social media marketing is bound to help you increase your sales. Want to learn more about how your business can leverage social media marketing to grow your business and the benefits of social media marketing for small businesses? Check out our FREE social media checklist or sign up for our Social Media Crash Course. Need more help or have a specific question? Aspen Grove Marketing is your local Colorado digital marketing agency, and we’re here to help your business take advantage of the benefits of social media marketing for small businesses. Contact us today to let us help you develop an effective digital marketing strategy and leverage your social media marketing!